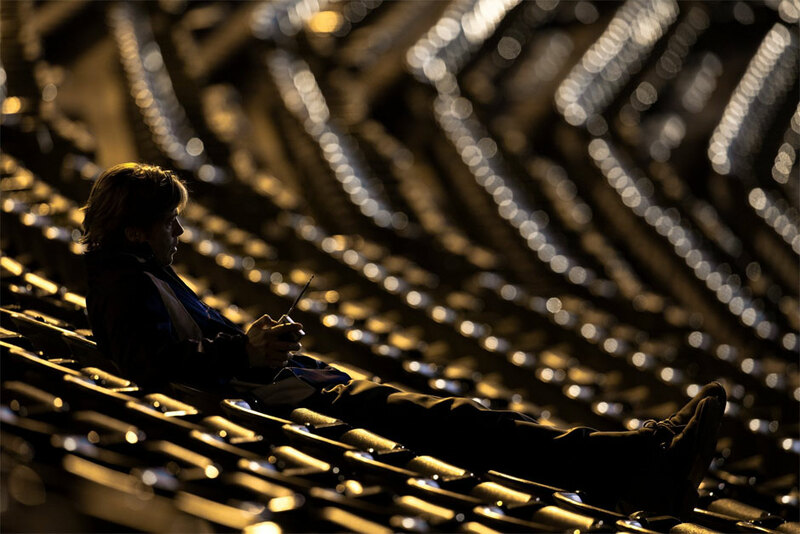 Billy Beane: There are rich teams; there are poor teams; then there’s fifty feet of crap; and then there’s us. These days, it seems that when it comes to conversations about the American economy, the focus is on the increasing divide between the rich and the poor. In MONEYBALL, that same gap is affecting America’s favourite pass time, baseball. How can a team that only has $40 million to pay its players possibly compete with teams that have three times that amount at their disposal? The answer is simple. Input everything you know about the players into a computer and let it do all the thinking for you. And once you have all your algorithms in place, you can apply them to the sport and rob it of all spontaneity and excitement. 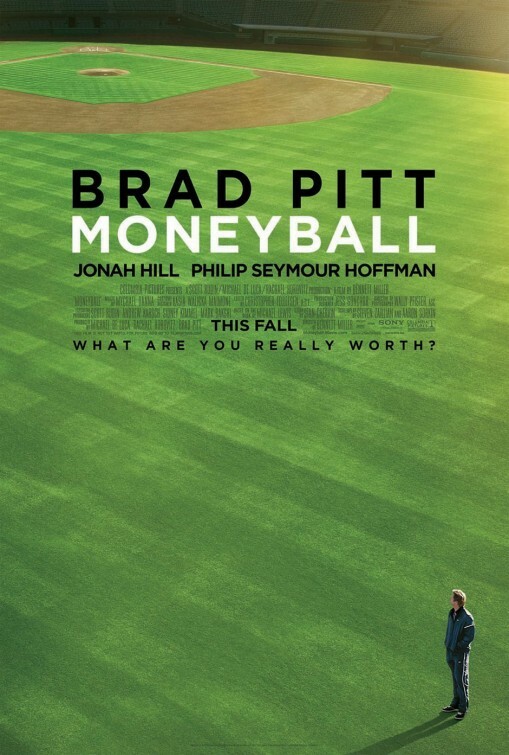 Unfortunately, some of the fun and excitement that usually spills over from the sport itself into the baseball movie genre, has also disappeared from MONEYBALL. Bennett Miller’s second film after his incredible debut, CAPOTE, is a succinct account of how former Oakland Athletics general manager, Billy Beane (Brad Pitt), changed the way major league baseball teams were formed in 2002. Inspired by a concept that was brought to him by his new assistant (Jonah Hill), Beane began adding players to his roster who were notorious for getting on base. The logic was that these players cost way less and produced more consistent, if not necessarily showy, results. 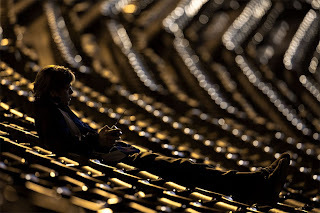 MONEYBALL then becomes a waiting game to see if his theory pays off and less about the actual success of the players themselves. Pitt gives a fine performance as the frustrated Beane, choosing to play most of his struggle internally while presenting with great confidence to all who doubt him. As strong as his performance is, it is not as impressively nuanced as the turn given by Philip Seymour Hoffman as the unfortunate coach who has to play with Beane’s team of mismatched baseball rejects. Even Hill shines as a young actor who is showing more and more promise in dramatic parts. 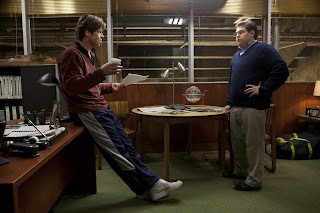 No, the trouble with MONEYBALL is not the acting but rather the thin subtext of the script. Having gone through three hands before going into production, it comes across as self-important but doesn’t have the gravitas to back it up. 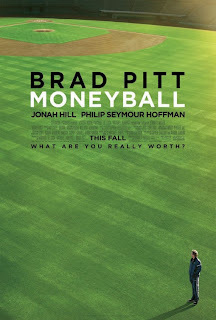 As a result, MONEYBALL is solid entertainment, but it never manages to crack it out of the park. i haven’t seen this movie yet, but i think yours is the most thorough and real review I’ve seen so far. well done. They said like (or do I get them mixed up with another film) that the script is generally very very cool =) this is what attracts so waiting for the film). Thanks for the compliments, guys. I feel like I will need to see this film again. Maybe my TIFF exhaustion influenced how I saw it. The script keeps being singled out by the press as being one of the better elements of the film but I truly thought it came across as lacking actual depth.